1.It is used to automatically supply water to tannery drums. 2. 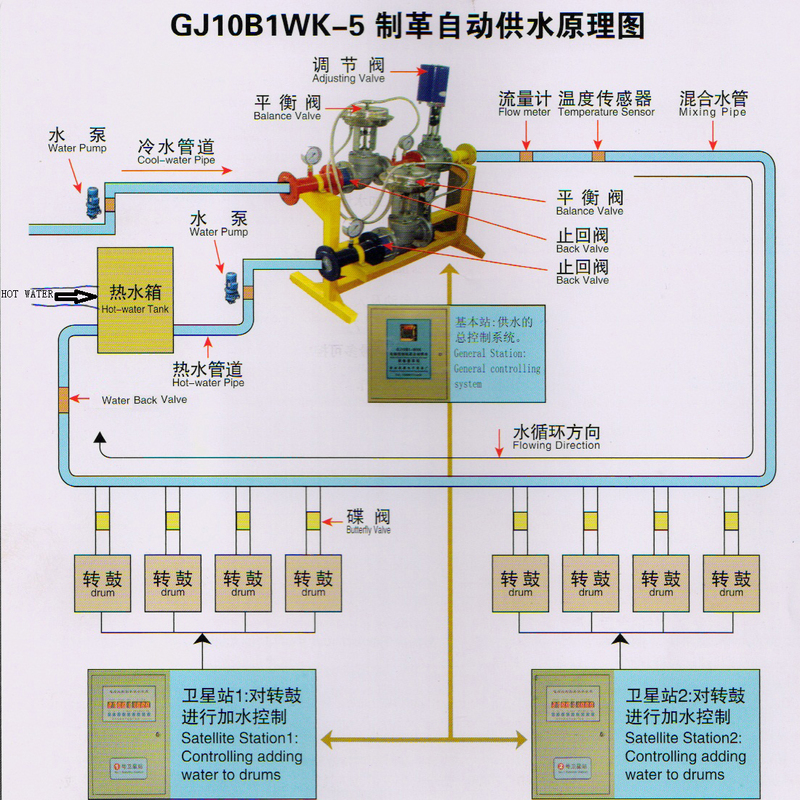 It can be used for paper making factory and pharmaceutical factory as well to supply water. 1. The central computer is industrial computer that can real-time sampling in high speed and efficiency. 2. The key valve is made in Germany. It is steady and reliable. 3. It is equipped with two satellite stations. There are many ports reserved. Normally it can control 12 drums. For more, it can control 16 drums. It saves cost. 4. Dual temperature control design prevents out of control of the temperature which is a great loss for customer. 6. Path of water: Usually there is one path of cold water. For more, you can connect up to 5 paths of cold water. Before installation this device, usually, you have already designed and installed a water supply line of tubes. In this condition, we are going to install the water supply station and the control system.